July | 2015 | Mothers Against Wind Turbines Inc.
Background: The small municipality of Smithville (now West Lincoln) gained notoriety in 1985 when PCBs and other contaminants were discovered leaking from a waste transfer facility into the environment… The intended use of the site was to receive and transfer PCB wastes. CWML operated the facility from 1978, when the MOE granted a Certificate of Approval, until 1985, when PCBs were discovered leaking into the environment. During its operational life the facility handled several hundred thousand litres of liquid wastes. Approximately half of the wastes received were reported to have been PCB waste. In 1989, the MOE assumed ownership of the former CWML site and continues, to this day, to be responsible for the site (Report 10, p. 1). Objectives of the Phase IV Program: The Phase IV Bedrock Remediation Program (the “Program”) was established in 1993 with the goal of protecting public health and safety and the environment and allowing the intended beneficial use of the affected lands. 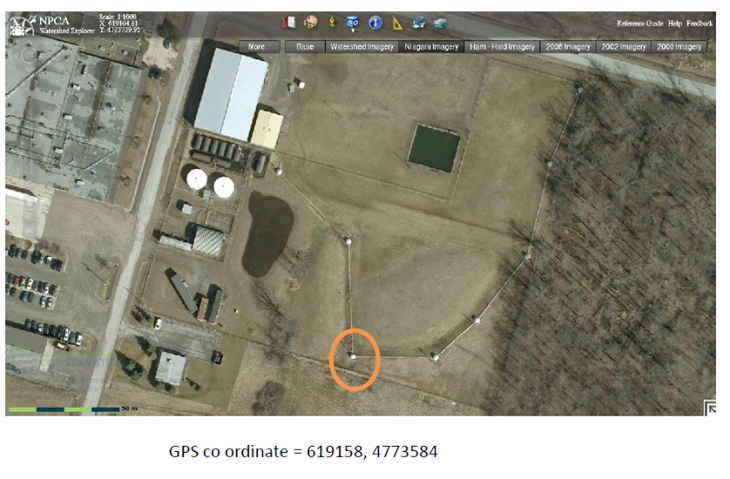 The main stakeholders in the remediation of the Smithville site are the MOE (regulator and site owner), the Corporation of the Township of West Lincoln (the municipality in which the site is located) and the public-at-large (Ibid, pp. 1 – 2). Source: The lateral extent of the source of contamination was identified as an oval-shaped area approximately 200m by 240m roughly centered on the lagoon area of the former CWWL site…In terms of vertical extent, the bulk of the Dense Nonaqueous Phase Liquids (DNAPL) is found in a layer of rock about 7m thick, known as the Upper Eramosa. The Upper Eramosa extends from about 6 m to 13 m below ground surface at the site… Some DNAPL may have penetrated into the Lower Eramosa and upper Vinemount between 13m and 25m below ground surface. Monitoring results indicate that no significant amount of DNAPL contamination has penetrated below the lower Vinemount, at a depth of about 25m below ground surface. The DNAPL consists primarily of Polychlorinated Biphenyls (PCBs) (47%), Trichlorobenzene (TCB) and Trichloroethylene (TCE). It is estimated that between 20,000 and 40,000 litres of liquid waste leaked into the environment between 1978 and 1985 (Report 5_1 pp. viii – ix). Challenges: …[F]ew technologies are available for treating recalcitrant contaminants in complex geologic formations. This conclusion is summarized graphically in Figure 4… (taken from Innovations in Ground Water and Soil Cleanup, National Academy Press, 1997). (Report 4 – Alternatives Report, pp. 57- 58, See Figure 4 below). [Highlights added to tables for ease of viewing]. Sites such as Smithville, with PCB contaminants in fractured rock settings…, are the most difficult to deal with (Report 10, p.3, Refer to Figure 3 Treatability of Contaminated Sites – adapted from National Academy Press, 1997: see table 1 of graphic below]. While the ministry has no concerns about contamination, it is requiring the monitoring of residential wells. “As a condition of the ministry’s approval of the wind farm, the company must undertake both a pre and post construction monitoring program for nearby residential wells,” Jordan said. WEST LINCOLN — Wind turbines will not disrupt PCBs stored in bedrock near the Smithville Industrial Park says the Ministry of Environment. Polychlorinated biphenyls (PCBs) were stored in tanks at an industrial waste transfer facility in Smithville from 1979 to 1985. During that time, the industrial chemicals leached into an on-site lagoon, contaminating groundwater. PCBs do not break down and while surface soils were destroyed, they chemical compounds still exist in the bedrock. The government has spent millions to control the site and continues to monitor it three decades later. Residents raised concerns about the proximity of the wind farm to the contamination site during the renewable energy approvals process and have again been raising concerns. The subject came up at the May West Lincoln planning and development meeting and staff were directed to look into whether the ministry had considered impacts on the contamination site when granting approval to Niagara Region Wind Corp. The answer to those questions, which were reported back to council last week, was yes, they did, and no, they were not concerned. “No impacts on the containment of this contaminant source are anticipated a result of this project,” the ministry informed planning director Brian Treble. Ministry spokesperson Kate Jordan told The News the application met noise requirements, minimum setbacks and other approval requirements. She also noted the company, Enercon Canada Inc. which recently acquired the project, has committed to implementing appropriate construction protocols as well as a complaint resolution process. While the ministry has no concerns about contamination, it is requiring the monitoring of residential wells. The government approved the 77-turbine wind farm in November and construction is set to begin soon. At last week’s council meeting, Treble updated council on the status of the project. The township has issued 11 building permits and is in the process of reviewing eight others. Another 22 applications were submitted July 8. Turbine builder Enercon recently announced it had acquired a majority stake in the project. The company also unveiled the launching of its newest manufacturing facility in Port Weller. The facility will produce Enercon’s patented pre-case concrete segments for wind turbine towers. Conservation is for sale in Niagara — if you have enough money to back you up. The Niagara Region Wind Corporation has inked a deal with the Niagara Peninsula Conservation Authority which will permit them access to a section of the Gord Harry Trail for maintenance of two nearby turbines. When Niagara Region Wind Corporation first approached the local conservation authority about using one of its trails during the construction phase of its 77-turbine wind farm, the answer was no. But when big wind came back, with a lot more money blowing behind it, the answer changed. 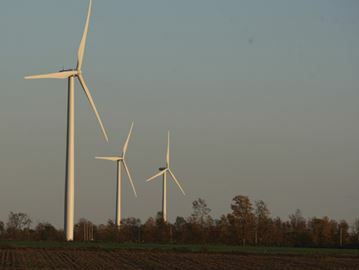 The trail in question — the Gord Harry Trail — was gifted to the Niagara Peninsula Conservation Authority by the Township of Wainfleet, a municipality that is no friend to wind energy. Because of Wainfleet’s stance on wind turbines, the NPCA opted to consult with the municipality on the matter. Wainfleet’s answer, not surprisingly, was no. The township did, however, consent to permitting a crossing of the trail. That option would have seen the NPCA collect a measly $7,500. Not willing to accept no for an answer, NRWC, which has since been taken over by Enercon, resubmitted its request, this time with a half a million dollars to sweeten the deal. They offered $20,000 a year over the 20-year duration of the project plus an additional $100,000 donation to the authority’s conservation fund. The request was now back on the table with a report from staff reminding board members of the authority’s need for cash: “As identified in the 2015 budget deliberations, total estimated capital costs for NPCA properties equalled approximately $5 million, however, only $1.3 million was budgeted in order to reduce the pressure on municipal levies. NPCA staff is focused on seeking alternative revenue streams in order to further reduce municipal levies and create sustainable recreational programs that promote conservation principles,” read the report. Not sure how dozens of trucks tearing up a nature trail promotes conservation principles, but apparently money speaks louder than nature. 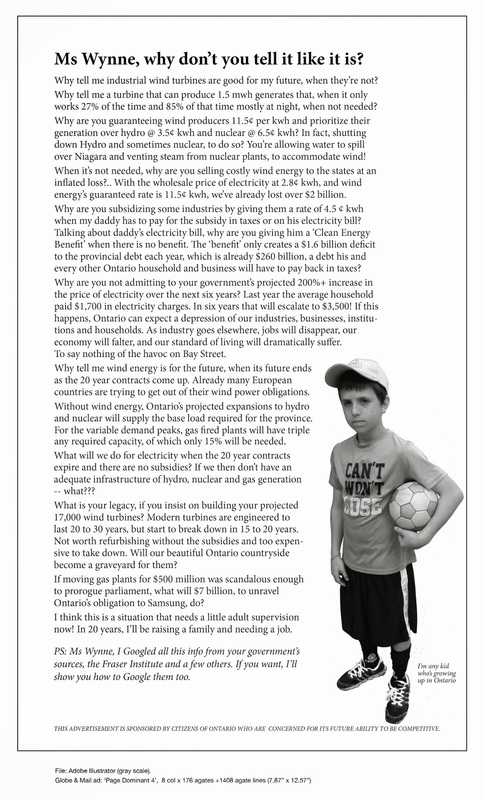 A former Ontario woman who made satirical postings criticizing wind turbine construction in her hometown says she is still facing a lawsuit from a project developer despite giving up the fight and moving out of province. Esther Wrightman says NextEra Energy Canada has made no move to withdraw the defamation suit they first filed against her in May 2013. The company says it’s not trying to silence her. The suit seeks unspecified damages and contends that Wrightman misrepresented the company in order to bolster her own crusade against wind turbines being built to provide power throughout southwestern Ontario. Wrightman, who moved to New Brunswick in 2014 after the turbines were built, says the suit is little more than an attempt to intimidate and silence a critical voice. NextEra’s statement of claim says the suit could be dropped if Wrightman removes the altered logos. “NextEra has not asked the defendant to cease her advocacy activities. It has not even asked the defendant to stop using the word “terror” as long as it is not associated with a mutilation or NextEra’s corporate name, trade name or logos,” the statement says. If you are negatively impacted by industrial wind turbines please submit a report for each incident you experience. If you have a diary of complaints, you can file historical incident reports. Just change the incident date. INFRASOUND- Low Frequency Noise and Wind Turbines. released in May, which affirmed the approval as granted. The decision was anticipated but it is not the end point for the community- it just means the fight moves on. what needs to be and it will be.